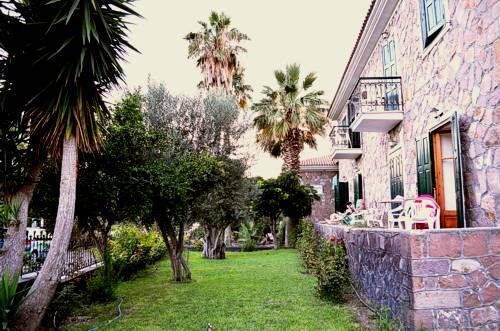 A fine hotel in the heart of Molivos and 50 meters from its Main Beach. 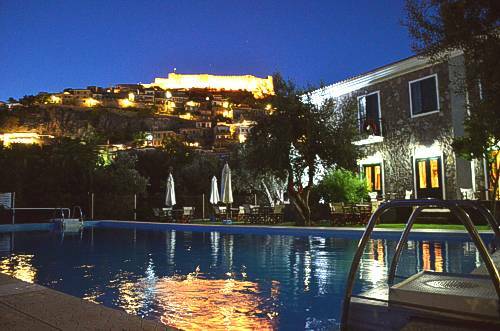 In the most beautiful part of Lesvos (Lesbos) island, in the renowned settlement of Molιvos (Mithymna) and fifty meters from its main beach one will find "Amfitriti" hotel. The hotel has thirty three rooms and three apartments equipped with all comforts for a pleasant stay. The room facilities include air-conditioning, on suite WC/shower, refrigerator, hairdryer, iron (on request), Sat. TV, radio and balconies or terraces with majestic views. The hotel facilities also include breakfast area, lounge room with sat TV, bar, fresh water swimming pool and free private parking area. those who prefer more intense holidays since the distance from the hotel to the busy town center is only 200m. WE LOOK FORWARD TO WELCOME YOU IN OUR ISLAND AND HAVE YOU AS OUR GUEST! AMFITRITI HOTEL is located in the North West part of the island of Lesvos, at the entrance to the traditional village of Molivos (also known as Mithimna), only a few metres away from the public beach. *These services are offered by external partners with an additional charge.